In 2013 and 2015, Chris Davis was the top slugger in baseball. He hit a combined 100 homers over those two seasons (53 in 2013 and 47 in 2015, leading MLB both times), was worth a combined 12.5 wins above replacement according to FanGraphs (fWAR). Now, well, Davis is the worst regular in the majors. In 2017, he had a miserable slash line of .168/.243/.296, hit just 16 homers in 522 plate appearances, and was worth -3.1 fWAR (yes, that’s negative three wins). Unfortunately, the struggles have carried over to 2019 for Davis, and resulted in him setting an embarrassing record. In the fifth inning of the Baltimore Orioles’ game against the Oakland A’s, Davis lined out to deep left field. That gave him zero hits over his last 47 at-bats. Yes, 0-for-47, and that’s the longest streak without a hit for a position player in MLB history. 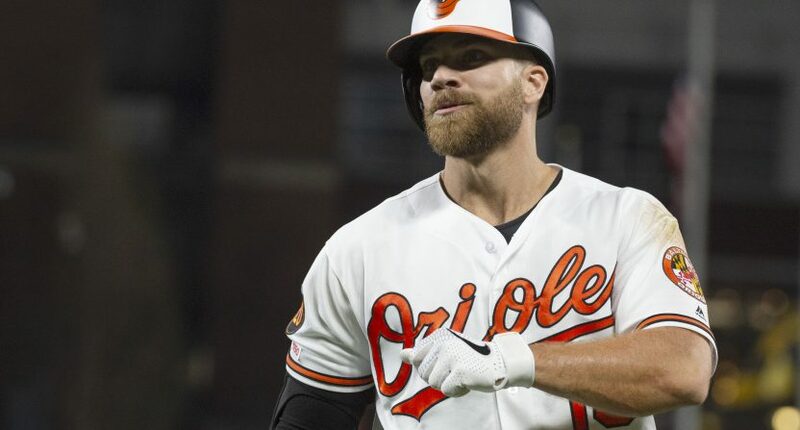 Chris Davis is a career .237 hitter across 5,250 plate appearances. The odds of a "true" .237 hitter going 0-for-47 is approximately 0.0003%. That would mean it happens just 3 times out of 1,000,000 opportunities. What has to make it even more annoying for Davis is that he deserved a hit with that swing, and the same was the case for a line drive he hit earlier in the game. But, that’s the way it’s been going for Davis over the last two seasons.